This week’s Real Life Glam features choreographer, dancer and university instructor extraordinaire, Saleemah E. Knight. Believe us when we say, this exceptional young woman was born to dance. 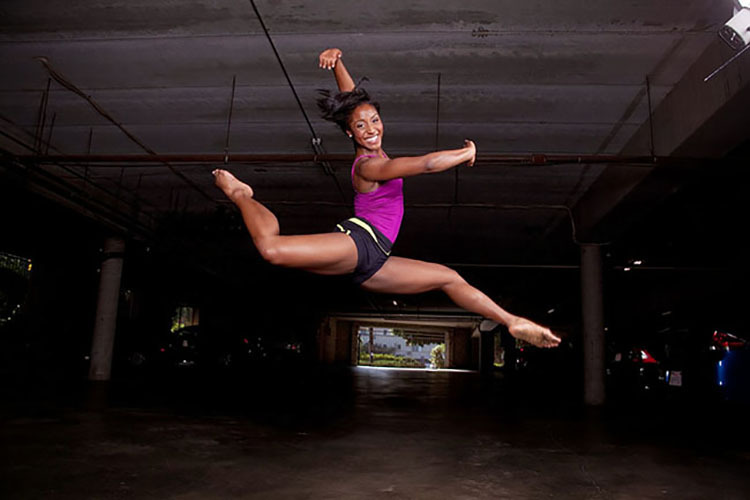 From taking 14-19 dance classes a week when she was in training and attending one of the best dance programs in the nation to dancing in the Las Vegas production of The Lion King Broadway Musical, this San Diego native is taking the dance world by storm. She chats with us about where her drive comes from, the importance of recognizing diverse dancers, and her next steps as a professional. Check out our interview below! And you thought you were graceful? GLAM Life Blog: Tell me a little bit about yourself and how you started dancing. Saleemah E. Knight: I’ve been dancing for about 27 years now and I got started in dance actually because I had a bout with arthritis as a child. My mom was a dancer and she was looking at activities I could do that would help to regenerate the cartilage in my knees and things like that because I was so young. She was thinking, “Maybe we could do some preventative work,” so the first thing she thought of was dance because that was her home place. She enrolled me in ballet classes, I loved it and I kept dancing ever since then. By the time I was five, I choreographed my first solo and I kept training. 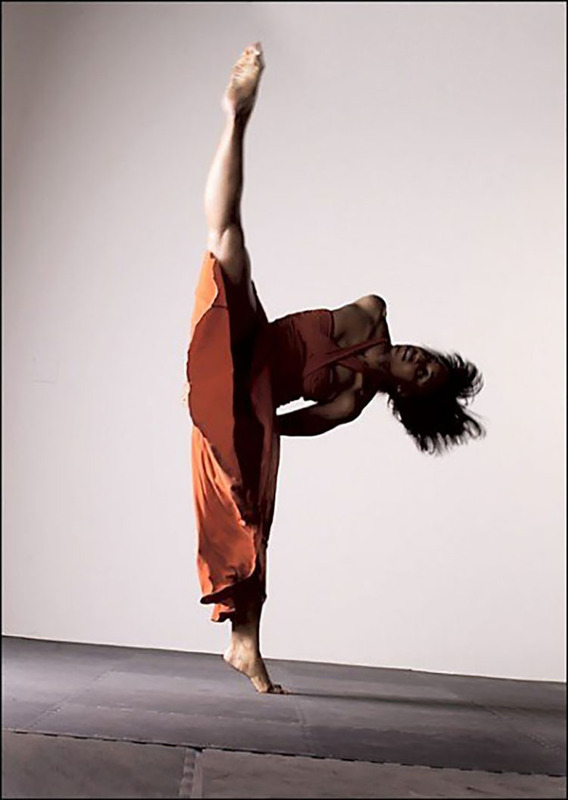 I got my first professional job when I was 12, which was with Donald Byrd who is a pretty well known artistic director now based in Seattle, Washington with the Spectrum Dance Theater, and I danced in the Harlem Nutcracker. It was an amazing experience; PBS documented it and I think in one of my classes back when I was doing my Master’s, we were watching different dance films and they showed it and I said, “Wait, I’m in this!” So that was a really cool moment. GLB: How did you become a university professor of dance at the Kaufman School? SEK: I did my Master’s at UC Irvine and I was taking ballet there where the instructors took notice of me. Fortunately yet unfortunately one of the professors there ended up leaving on a short sabbatical and they needed someone to teach jazz. And it’s a bit difficult because there aren’t a lot of instructors at the university level that teach jazz from a historical standpoint— relating back to its origins within the Africanist Aesthetic. Specifically when I entered the realm of dance academia, I made it important to myself to read and understand where things came from, the true origins of dance, culture, and anthropological studies. So I ended up teaching all of the jazz there, levels 1-4, level one being beginning jazz for non-majors, and level 4 being advanced jazz for majors and lifetime practice dancers. It was intense, but it was so worth it. Mind you the classroom in the OC is not super diverse, but I was impressed with their maturity and their eagerness to learn about a culture that is not necessarily their own but in a way is there own because it’s American, as well. I finished teaching there in June and then I got a call from Jodie Gates who is the Vice Dean. I went through the whole interview process and here I am. It’s been a blessing. Our goal here is not to create dancers who just graduate and book jobs. Our goal is to create artists that can do collaborative work with directors and produce their own films, with have an entrepreneurial spirit. Here we’re doing something new, it’s called The New Movement. We’ll be looking at dancers from a codified technical background and other dancers who come from a complete background only immersed in social dance. We’re creating something new and of the moment, artists that can think a 360 degree way. One brick at a time! GLB: Tell me about a challenging moment in your dance career and how you worked through that. They said they were looking for one person, it was a room full of hundreds of dancers and I danced my heart out. They narrowed it down to four and they said, “Thanks, we’ll call you” and a week later I got a call from Disney saying they wanted me to be a part of The Lion King Broadway musical. So that was a very big milestone in my life. GLB: We interviewed a filmmaker who created a short film called, Black Ballerina. How do you think the dance world acknowledges different kinds of bodies and people? SEK: I have a love for dance academia and what’s available to certain demographics and what’s needed. Because my area of expertise is jazz, I felt like it was serving to the dance community to do some research in that area. When I finished The Lion King, I ended up going back to finish my Master’s and did a lot of study on the Black body and ballet. Misty Copeland has made some huge strides in the ballet community in terms of women of color just in general, not just Black women. And I wrote a lot about that and how we got to that point, looking at the Trans-Atlantic Slave Trade and how we viewed Blackness over time and how that translates into how we view Blackness on the stage. There’s a lot of unknown African-American Ballerinas that are left out of history and invisibilized, so I made a point to spotlight them. Because Misty has now been cast as Odette in Swan Lake, now my thesis work is a little bit dated just prior to when she got that. I’m proud of her for continuing to push because there’s so much discouragement, there’s so much lack of knowledge and there’s so much marginalization in terms of what we look like as a people. We’re diverse even as a group of people. I know even as a technically trained African-American dancer, people want to box you in. They want to see you and say, “She’s probably hip-hop.” I understand that because that’s how the world has worked for so long, but you have to understand when it’s blood, sweat and tears, you’ve come home with sores on the bottoms of your feet and been in The Lion King and trained specifically in the areas of Ballet, Modern and Jazz Dance for the majority of your career, it’s a bit of a disservice. I do also do Hip-Hop by way of my work as a commercial dancer and choreographer but I have had equal, if not more experience and training in the concert dance world. I celebrate my versatility. GLB: Tell me about SaleemahWear. Where’d the concept for it come from? SEK: I’m not in the business of selling apparel, but I do have a small line. The inspiration came from just expressing yourself as a dancer. Everyone has that one cool shirt that makes them feel empowered or that one leotard that makes them feel like, “I can do a million sautés in this!” Because of all these wonderful things I felt like I was starting to get a following with youth who were inspired and they would always want something from me outside of a class. I could teach a class of 500 and give them my business card, but I wanted them to leave with something special. So I designed a shirt based off of my special tag-line, which is “Live, breathe, emote…dance.” Then, I also created two additional offshoots of that shirt. When I teach master classes, I use the funds from Saleemahwear to give out scholarships to dancers because dance is so expensive: the tights, the pointe shoes, the jazz shoes, the leotards. I thought you know what would be great? If every time I teach, give out a scholarship and say, “You have a scholarship to Barry’s Capezio, go get some new jazz shoes.” At times I will also give out a shirt to a dancer in class who really catches my eye to show that I acknowledge their passion and appreciate their commitment to developing their artistry. That may seem small, but in the grand scheme of things, it’s so helpful because in the span of a month you can buy so many things so I try to give [the dancers] a good lump sum, particularly dancers from low-income families. I’d really like to have some support for them in the dance world because it’s hard. It’s hard enough being a dancer but it’s also hard to maintain and keep up with everything that’s needed. GLB: What’s next for Saleemah Knight? SEK: Between now and December, I’m teaching about 12 master classes nationally. Some are related to USC and some unrelated to USC, so that’s immediate. I still actively work in the entertainment community as a choreographer; I’m in the process, and I can’t say too much, of a pretty big job right now that’s being negotiated. I also have an upcoming artist and we’re looking at her music videos and we’re creating her whole image. I also have a piece I just premiered at Laguna Dance Festival called, “Nine minutes and counting” and I’m currently in the process of doing an adaptation for film with a director who’s pretty well-known and has a good eye for dance for the camera. Several years from now, I think I would also like to start a performing concert dance company. One of my protégés said, “You need to have a company and it needs to be called Knight Dance!” So that can be a ten-year thing, something I can see happening ten years from now. But right now I’m just enjoying everything, taking all these bits and pieces of my life and seeing how I can help the next group of dancers get where they want to be. Want more from Saleemah E. Knight? Check out on her website, Facebook, YouTube, Twitter, Instagram, and follow her hashtag #livebreatheemotedance!